Regulators froze the assets of two Beijing residents who made $2 mln trading ahead of a deal involving Nasdaq-listed 58.com. Such apparently basic scams are fairly rare in the United States. From insider trading to bribery, American rules and Chinese practice continue to clash. 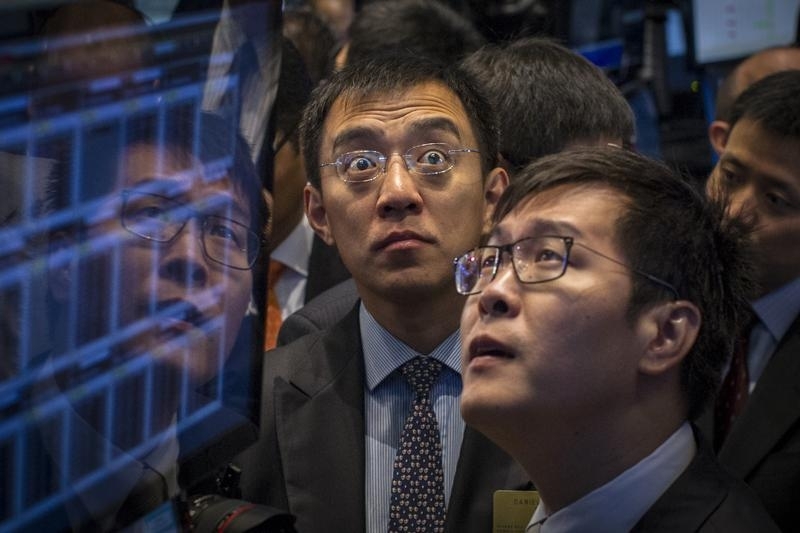 Jinbo Yao (R), CEO of 58.com Inc., watches as his company is priced during its IPO on the floor of the New York Stock Exchange, October 31, 2013. U.S regulators charged two Chinese nationals with insider trading of shares in Chinese classified advertising website 58.com through “remarkably timed” purchases of call options. The Securities and Exchange Commission said that Xiaoyu Xia and Yanting Hu made more than $2 million by investing in the call options before 58.com revealed on April 14 it planned to buy a 43.2 percent stake in rival Ganji.com, in a deal backed by Tencent Holdings. The court for the Southern District of New York granted the SEC’s request to freeze assets held in Xia and Hu’s U.S. brokerage accounts. Reuters was not immediately able to contact Xia or Hu. Investment banks are fighting with the U.S. government over its interpretation of foreign bribery laws, the Wall Street Journal reported on April 30.